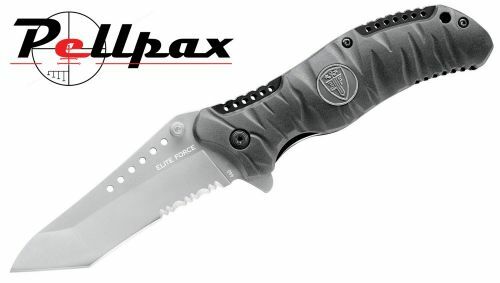 This knife from Elite Force has an ergonomically shaped handle to allow it to fit into the hand with ease, which ensures it is comfortable and effective during use. The blade attached to this handle is made from tough stainless steel which retains its edge very well, and also doesn't rust. The shape of the blade is of a tanto and can be opened easily with one hand with the assistance of a flipper built in. To really set this knife apart from the rest, the blade features partial serrations and stylish holes to make it stand out from the crowd.